Her single „Breathe“ has it all – the musician was born the daughter of a famous West African singer and a Swedish woman in Södermalm. Despite her academic ambitions, the talented Soulpop singer pursued her musical dream and enjoyed a classical vocal education in Stockholm. Not always life there was easy for her – in her country of birth, the Swedish singer often felt like an outsider. This is the artist’s theme in „Breathe“: „Have you ever felt like an outsider in your own homeland? If so, you know what I want to say with my song. Remember: You are not alone. Whatever you do, don’t forget to breathe!“ For the accompanying video, Seinabo Sey took it to Gambia – her father’s country of birth. In about one and a half minutes the artist sets a sign for tolerance – discriminating standards of beauty have no place and thus show everyone who has to do with problems of this kind: You are not alone. „Remember“ on the other hand shows another side of the Swedish artist. Together with the British singer-songwriter Jacob Banks, Sey strikes calmer, warm gospel tones. The video, inspired by the Oscar-winning film „Moonlight“, was shot in Gambia just like „Breathe“. 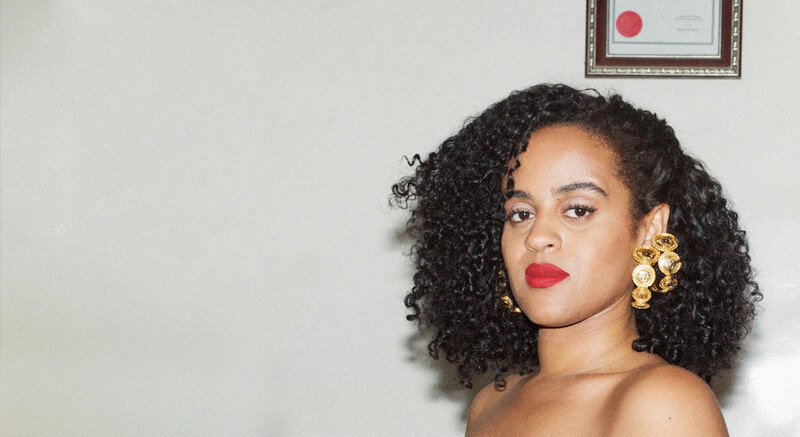 The lyrics reflect a conversation between the artist and her own ego: instead of being liked, Seinabo Sey wants to be remembered by people. In November, Sweden’s power voice will be coming to Germany for a single club show. A woman, a voice, a feeling that you shouldn’t miss it under any circumstances. Reprint free of charge! Karten kosten 22.— € (zzgl. Gebühren!). Pre-Sale ab 29.08. bei www.myticket.de (Hotline: 01806 777 111, Verbindungspreise: 0,20 €/Anruf aus dem deutschen Festnetz, max. 0,60 €/Anruf aus dem deutschen Mobilfunknetz) sowie ab 31.08. unter www.ticketmaster.de (Hotline: 01806 999 0000, Verbindungspreise: 0,20 €/Anruf aus dem deutschen Festnetz, max. 0,60 €/Anruf aus dem deutschen Mobilfunknetz).